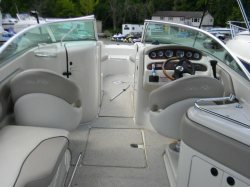 LOOKING FOR SEARAY QUALITY IN A DAY BOAT? 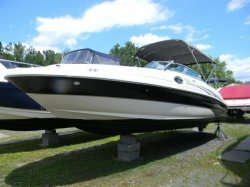 YOU FOUND IT, HERE IS THE 240 SUNDECK BY SEARAY. 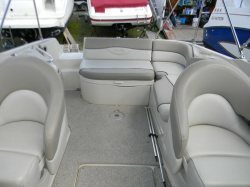 THIS BOAT IS WELL LAID OUT FOR ENTERTAINING AND WATER SPORTS LIKE SKIING , TUBING OR WAKEBOARDING. 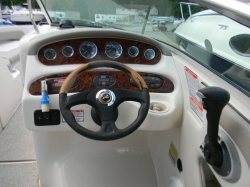 OR IF JUST CRUISING IS YOUR THING, YOU WILL FIND THIS SPORT BOAT DOES IT ALL! IT IS COMPLETE WITH AN ENCLOSED HEAD, COCKPIT CARPETING, AM/FM STEREO WITH CD PLAYER. 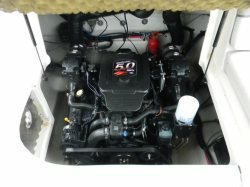 IT IS POWERED BY THE MERCRUISER 5.0 MPI WITH THE BRAVO III OUTDRIVE. LOW HOURS AND IN VERY GOOD CONDITION INSIDE AND OUT IT COMES WITH A NICE COMPLIMENT OF GAUGES AT THE HELM, SO YOU CAN MONITOR ALL YOUR ENGINE FUNCTIONS WITH A GLANCE AND A PUSH OF A BUTTON. 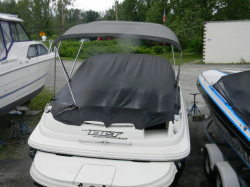 IT COMES WITH A BOW COVER, COCKPIT COVER AND A BIMINI TOP.THERE IS ALSO AN ONBOARD WETBAR! 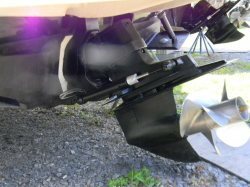 AT THE STERN, THERE IS AN INTEGRATED SWIM PLATFORM WITH A BUILT IN BOARDING LADDER, SKI TOW EYE AND A TRANSOM SHOWER THERE IS ALSO A BOARDING LADDER AT THE BOW AS WELL. 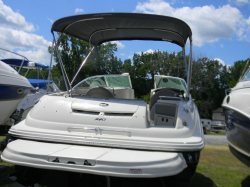 EVERYTHING YOU NEED FOR A FUN DAY ON THE WATER, CALL OR STOP BY TODAY TO FIND OUT MORE ABOUT THIS BOAT.